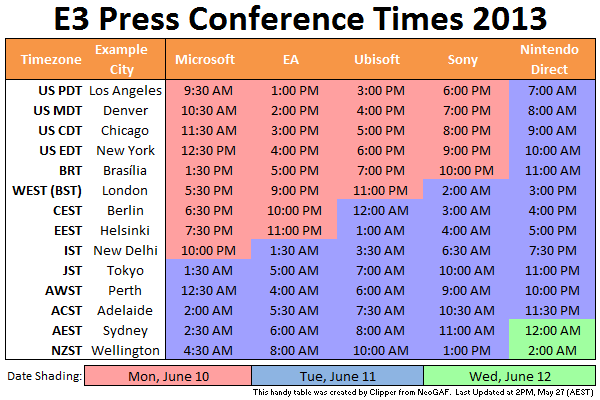 If you are among the other people out there who have been wondering when and where to watch your favorite company’s E3 conference on a live stream or at what time you can make use of this handy table and list of stream locations to make your life a lot easier. 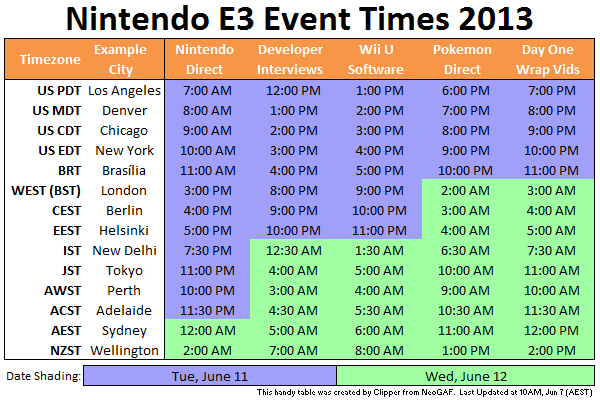 E3 Conference 2013 – Lets the Games Begin! If you know other sources or wish to add to this then leave a comment below and I will add it to the list.